Movable upper housing to reduce the heat loss to food areas. 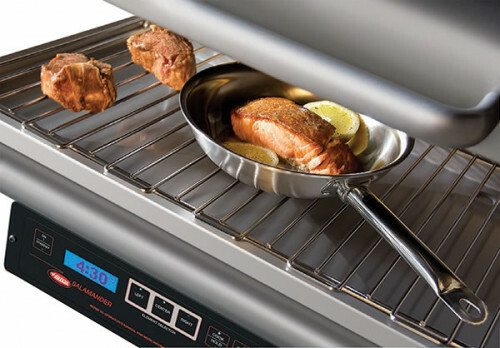 The high powered heating elements are ready for use within 10 seconds. 2 sets of independently controlled heating element sections give the benefits of flexibility and energy conservation. 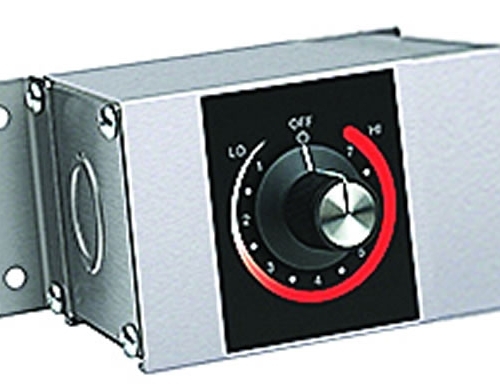 Includes a hold mode switch that reduces power to 25% and keeps food at proper serving temperatures. 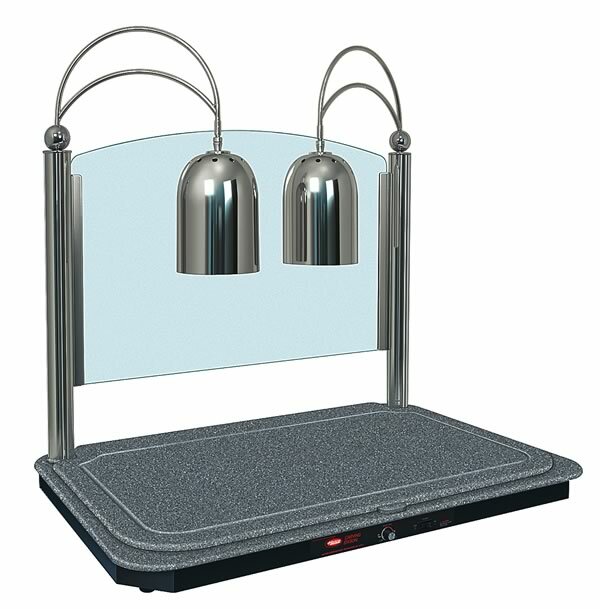 Unit can be placed on a counter-top or mounted to a brick or cement wall. Unit comes standard with grill, drip pan and wall mounting bracket. 576W x 550D x 603Hmm. 4.5kw 18.8 amp. Supplied with cord but no plug.